I researched the history of sweet tea for my novel, The Secrets of Dr. John Welles, because I used it in a scene involving John and his two classmates at the University of Maryland, Sam Feldman and Claude Willoughby. As I’ve mentioned previous blog post (Who is in Your Details, No Bad Apples), it’s important to check your facts, and I honestly didn’t know how far back recipes for sweet tea went. Thankfully, the time period in which I wrote the scene was well after the first documented evidence of sweet tea in American culinary history. So, without further ado, I present to you the History of Sweet Tea as gleaned from the What’s Cooking in America website. I credit them and their sources with all of the history presented in this post. It’s a bit of a lengthy read, but that’s what makes a great Research Road post. 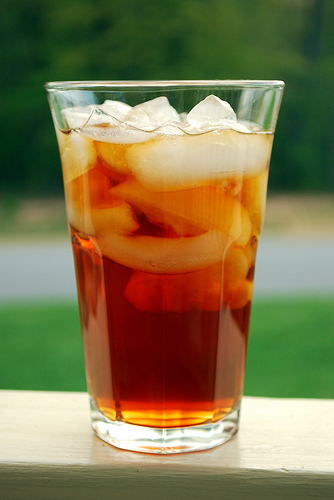 There are two traditional iced teas in the United States – Iced Tea and Sweet Tea. The only variation between them is sugar. Southerners swear by their traditional sweet iced tea and drink it by the gallons. In the South, iced tea is not just a summertime drink, and it is served year round with most meals. When people order tea in a Southern restaurant, chances are they will get sweet iced tea. Outside of the southern states, iced tea is served unsweetened or “black,” and most people have never even heard of sweet tea. 1795 – South Carolina is the first place in the United States where tea was grown and is the only state to ever have produced tea commercially. Most historians agree that the first tea plant arrived in this country in the late 1700s when French explorer and botanist, Andre Michaux (1746-1802), imported it as well as other beautiful and showy varieties of camellias, gardenias, and azaleas to suit the aesthetic and acquisitive desires of wealthy Charleston planters. He planted tea near Charleston at Middleton Barony, now known as Middleton Place Gardens. 1800s – English and American cookbooks shows us that tea has been served cold at least since the early nineteenth century when cold green tea punches, that were heavily spiked with liquor, were popularized. The oldest recipes in print are made with green tea and not black tea and were called punches. The tea punches went by names such as Regent’s Punch, named after George IV, the English prince regent between 1811 until 1820 and king from 1820 to 1830. Iced tea’s popularity parallels the development of refrigeration: The ice house, the icebox (refrigerator), and the commercial manufacture of pure ice, which were in place by the middle of the nineteenth century. The term refrigerator was used for the first patented ice box in 1803 and were common in the mid-19th century in the United States. 1893 – The 1893 Chicago World’s Fair, also called the Columbian Exposition, had a concessionaire that grossed over $2,000 selling iced tea and lemonade. The Home Queen World’s Fair Souvenir Cookbook – Two Thousand Valuable Recipes on Cookery and Household Economy, Menus, Table Etiquette, Toilet, Etc. Contributed by Two Hundred World’s Fair Lady Managers, Wives of Governors, and Other Ladies of Position and Influence, compiled by Miss Juliet Corson includes a recipe for variations on serving iced tea. 1904 St. Louis World’s Fair – The Iced Tea Question, by Lyndon N. Irwin. Beyond the Ice Cream Cone – The Whole Scoop on food at the 1904 World’s Fair, by Pamela J. Vaccaro, Enid Press, St. Louis, 2004. Boston Cooking School Cook Book, by Mrs. D.A. Lincoln, Dover Publications, Inc., New York, 1996 Reprint. GA: Food Establishments Must Serve Sweet Tea!, Political State Report, Tuesday, April 1, 2003. Georgia General Assembly, House Bill 819. I’ll Have What They’re Having – Legendary Local Cuisine, by Linda Stradley, Globe Pequot Press, 2002. Mint Museum of Art in Charlotte, NC, Features Works by Pierre-Joseph Redout April Issue 2002, from Carolina Arts Magazine, by Shoestring Publishing Company, Bonneau, SC. South Carolina General Assembly, 111th Session, 1995-1996. Steeped in Tradition – Sweetened or Not, Iced tea is Southerners’ drink of choice, by Linda Dailey Paulson, writer for Atlanta-Journal Constitution newspaper. Taste of Luzianne, Luzianne Tea. Thanks, Rosita. I’ve been a research hound ever since I started writing! Per the Queen of England, one can never know too much about tea. I’m pretty sure she said that. What an interesting article. Thanks, Heather. The first time I ordered iced tea in the South, at a Micky D’s, it was a shock to find it very sweet. After that, I ordered it with four lemons as they didn’t sell unsweetened at that time, probably 30+ years ago. I wonder who cut off our green tea supply during WWII. Glad you enjoyed the post, Peggy! Be sure to check out my recipe for sweet tea so you can make it as sweet or plain as you like. I wonder if our supply of green tea was cut due to Japan invading China.